The TinkerKit Braccio is a fully operational robotic arm, controlled using an Arduino Board. Designed for desktop use and is supplied in kit form so you can assemble it to your own requirements. It can be used in several ways and is easily adapted. Pickup and move objects, mount a camera and track your movements in a video call or attach a solar panel and track the movement of the sun. The Tinkerkit Braccio is supplied as a kit and requires assembly before use. 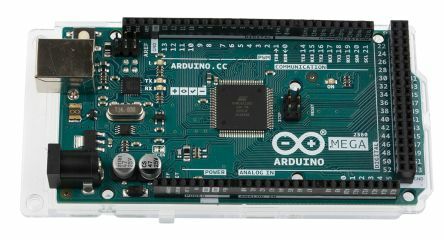 A Braccio servo shield is included but you need an Arduino Board for operation, for example RS 715-4081. The TinkerKit Braccio is a fully operational robotic arm, controlled using an Arduino Board. Designed for desktop use and is supplied in kit form so you can assemble it to your own requirements. It can be used in several ways and is easily adapted. Pickup and move objects, mount a camera and track your movements in a video call or attach a solar panel and track the movement of the sun. 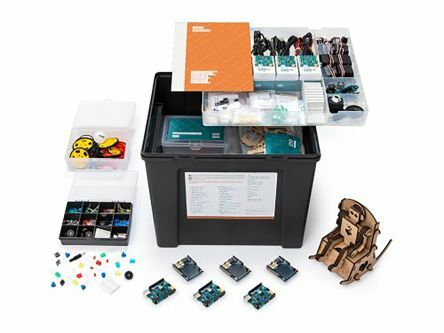 The TinkerKit range from Arduino is the perfect platform to prototype Arduino-based designs without the need for breadboards or soldering irons. Whether it is for experimentation within the classroom or for new technology projects, TinkerKits aim for simple and quick set-up. 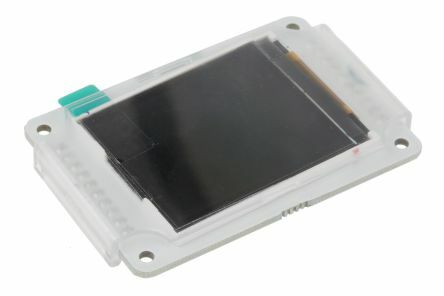 The TinkerKit sensors and actuators connect up to the TinkerKit interface, the Sensor Shield, which in turn connects to your Arduino board. We offer various types of kits from base level to pro, and various sensor, actuator and shield singular components.